Oooooh! 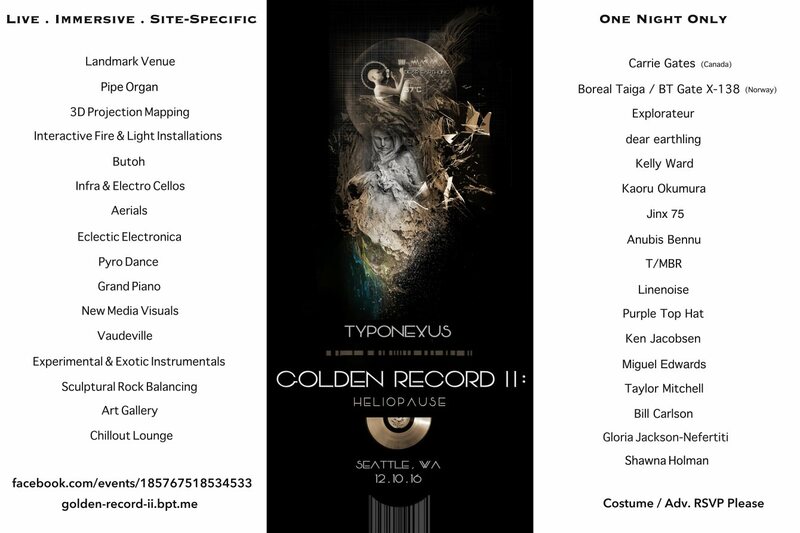 This event I’m playing at in Seattle this December organized by TYPONEXUS looks reeeeeeeeally interesting! The lineup is quite diverse, costumes are encouraged, and the space sounds very cool and mysterious – there will even be a tour of a huge old pipe organ, which I’m pretty intrigued by. I’ve been chatting with the organizer now for some time about working with them on an event and I am thrilled to finally get to meet them in person <3 This event looks seriously beautiful. Get your tickets here! There are a number of packages available that include things like original artwork, a tour of the pipe organ, and free cocktails! 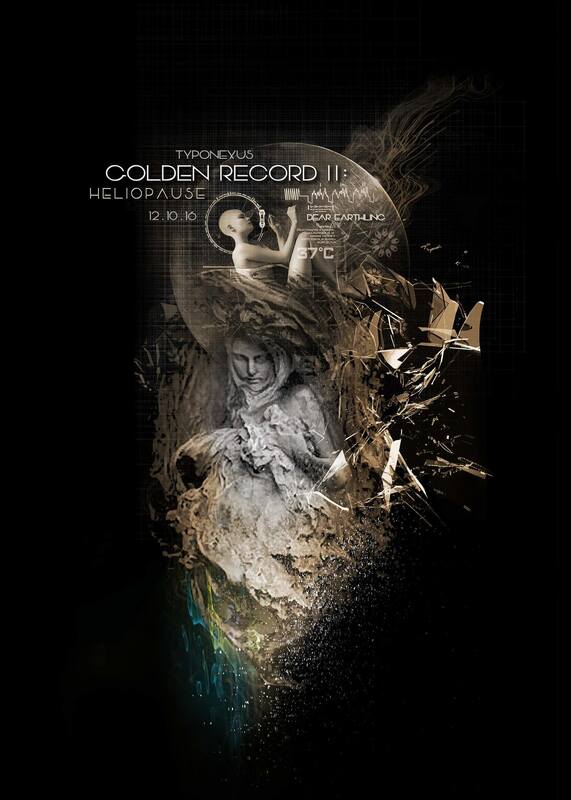 GOLDEN RECORD II: Once again, it’s that point in spacetime for TYPONEXUS to lead a cadre of cosmonauts on a vivid, immersive, cutting-edge, multi-sensory odyssey with a mission to deliver our annual Golden Record update across frontiers of outer space. Spikes in audiovisual intake registered by the Cosmic Organ Control Panel indicate that Voyager 1 advanced beyond the heliopause. Don your spacesuits, converge at the Deep Space Network Station (disguised on your map as a century-old, historic landmark site), and join the transmission. Tracing the trajectory of the farthest-reaching spacecraft, we escape the electromagnetic embrace of our solar system and delve into mysteries of the interstellar medium, while reflecting on that pale blue dot we call home – and our place within it. 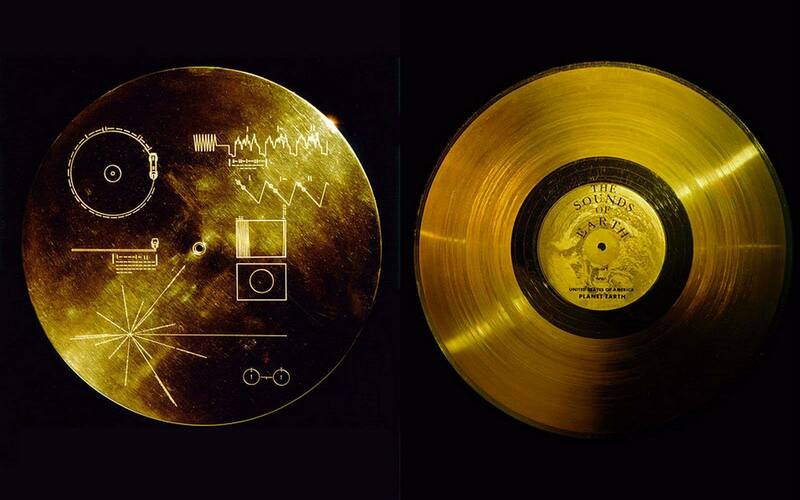 Golden Record is a holistic script of ourselves, humans – a collage of unique, individual manifestations of the whole – traversing the Universe as we search beyond – within and without. It’s a foray into the world of human expression – an intimate, ephemeral, multifaceted sample of our civilization. It’s a message in a bottle carrying our identity: culture, imagination, accomplishments and aspirations. This evening is a collective writing of our own. Tonight, channeling generative forces, we resonate our inner rhythms outward. We imagine, create and witness together, feasting on the plenitude of gifts shared amidst fellow earthlings. We bond, make our imprint, and soar on. * Spread the word to the likeminded!